At Western Connecticut State University, students and professors are building on our reputation for public health and safety education that benefits the community, from nursing to square dances for veterans. Nursing at WCSU is a program on the rise, poised after a major expansion of instructional facilities and deepening of faculty strength to meet the challenges of growth in student enrollment over the next two years. The latest citation placing the WCSU Nursing program at the top of its class comes from the survey of Connecticut Nursing education programs that ranked Western first among 20 public and private Nursing schools statewide. 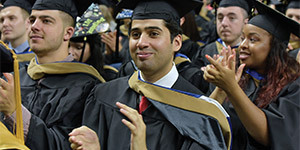 This honor comes as WCSU builds on one of the University’s academic strengths with new state-of-the-art instructional facilities and a major expansion in undergraduate enrollment in its Bachelor of Science program. 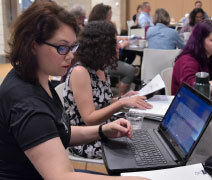 With the initial expanded class of 96 students already enrolled at the sophomore level—roughly double the present class sizes at the junior and senior levels—the department’s core undergraduate program is on track to complete a twofold increase in overall enrollment. At the same time, our Health Promotion Studies bachelor’s program has received the prestigious accreditation of the Council on Education for Public Health, affirming that the undergraduate curriculum meets rigorous academic standards. The HPX Department’s undergraduate curriculum offers four options for concentrations, including Community Health, Wellness Management, Holistic and Integrative Health, and Allied Health Professions. Completion of the bachelor’s program prepares HPX graduates to sit for the Certified Health Education Specialist examination, the nationally recognized credential for health educators. The University is also expanding in the sciences. WCSU has entered a collaborative initiative through the Connecticut State Colleges and Universities system to offer a new Master of Science in Integrative Biological Diversity. Coordinated by Professor of Biological and Environmental Sciences Dr. Theodora Pinou, the program establishes a partnership between WCSU and Southern Connecticut State University to provide a 30- credit master’s degree curriculum with courses taught on both campuses. Faculty from the WCSU Biological and Environmental Sciences Department and the SCSU Environment, Geography, and Marine Sciences Department participate as course instructors and research mentors. 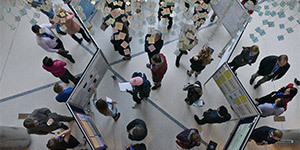 Plans call for future participation by faculty at Eastern Connecticut and Central Connecticut State Universities. Program objectives include the education of students in the use of molecular research methods to assess diversity among organisms and environmental health, and in the use of GIS, GPS, and other technological tools to examine, quantify, and describe biodiversity. An important aspect of the program is the opportunity for MS candidates to collaborate with a wide range of corporations, educational institutions, conservation and wildlife organizations, and other partners where students can apply their skills and knowledge to real-world experiences in the exploration and monitoring of biodiversity. Among these partners are the Yale Peabody Museum of Natural History, the Connecticut Department of Energy and Environmental Protection, the Housatonic River Valley Association, the Candlewood Lake Authority, the Norwalk Aquarium, the Atlantic Marine Conservation Society, Connecticut Audubon, FirstLight Power Resources, the Cape Eleuthra Institute, and the Great Hollow Nature Preserve and Ecological Research Center. The program also maintains international collaborative relationships with the University of Guadalajara CUCBA and the University of Athens. In the Department of Education and Educational Psychology, the master’s program in Applied Behavior Analysis (ABA) has earned prestigious recognition. The autism advocacy and treatment organization Action Behavior Centers included the WCSU program in its “Top 50 Online ABA Master’s Programs and Certificates in 2018” survey of higher education institutions across the United States. The survey marks the latest in a series of honors that have drawn national recognition to the excellence of the ABA master’s program. The 2018 “Applied Behavior Analysis Programs Guide,” released last December, ranked WCSU at #1 among higher education institutions nationwide that offer an online master’s degree in Applied Behavior Analysis. The “ABA Programs Guide” profile of WCSU noted that the University’s fully online instructional program prepares students “to effectively quantify and measure behavior in order to make effective changes that will improve overall behavior of an individual, group, or organization.” The guide noted students in the WCSU program learn how to measure behavior, collect and analyze data, and make suitable modifications to increase appropriate behavior and decrease inappropriate behavior. The MS program includes 19 credits of core course work designed to qualify graduates to sit for the BCBA examination sponsored by the Behavior Analyst Certification Board. In another example of academic learning that benefits the wider community, WCSU Professor of Psychology Dr. Robin Gustafson and Louisville, Kentucky, dance instructor Deborah Denenfeld partnered to conduct research on how community dance programs can aid veterans with PTSD and brain injuries. Gustafson used her expertise in research methods, as well as her background in ecological and embodied cognitive science, to conduct research on the effects of a community dance program called Dancing Well: the Soldier Project. During Gustafson and Denenfeld’s research, WCSU students Carlos Jiminez, Marlon Tristao (also a veteran), and Tyla Johnson worked with Gustafson to design the assessment, writing, data coding, data entry, and data analysis. The team completed its final draft of the paper during the summer of 2018, and it’s currently under review for publication. Before and after each 10-week community dance program, 17 veterans and accompanying family members were measured on connectedness, experience avoidance, and hope and optimism. Gustafson found significant improvements in all three wellness measures, which was a surprising outcome given the small sample size. More surprisingly, the improvements were significant for all participants, regardless of PTSD status, showing that even the family members were healing. Gustafson and her coauthors believe these results show that this program and programs like it can help treat some of the most important non-medical symptoms of PTSD in veterans and some of the often-overlooked problems experienced by their families. All these opportunities are available at WCSU for students who want hands-on experience in the classroom and community settings—the key to satisfying careers and strong access to employers.